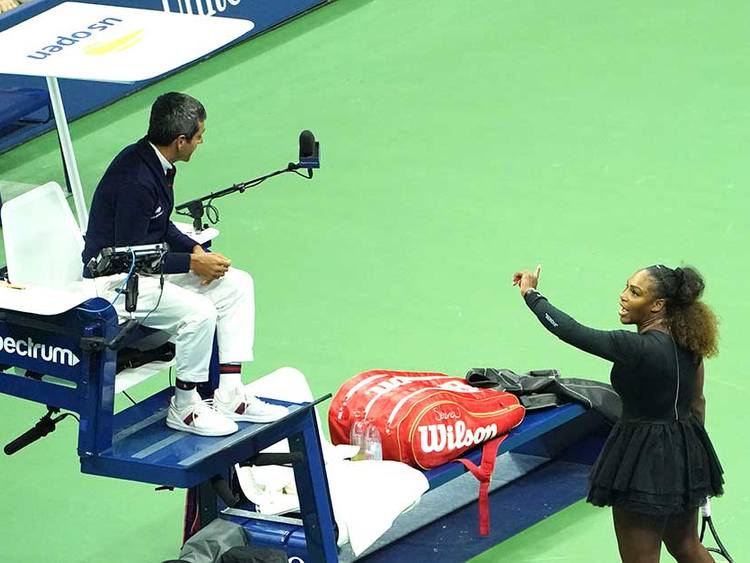 Saturday’s US Open final showed us why life after Serena Williams may not be such a bad thing for women’s tennis. Whether you agree with the umpire’s decision or not, you cannot behave like that. The way she told Carlos Ramos he would never officiate on her matches again tells you exactly who runs this sport, and it’s not the umpires or the officials who came waddling on to console her. Twisting things to talk about her daughter and standing up for women’s rights also serves as a massive injustice to any genuine gripe on sexism, and feminists should lambast her for it. This had nothing to do with sexism or coaching violations, but everything to do with an ageing star failing to come to terms with her waning powers against a younger opponent. What could have been a graceful transition from one generation to the next was instead turned into an ego-pampering fuelled by sycophantic fans and media who have leapt to her defence. In the bargain, the achievement of Japan’s first Grand Slam winner Naomi Osaka, has been overlooked. Shamelessly playing the sexism card without an apology is embarrassing and now Serena should go away and consider whether she is still a positive influence on the sport. Williams, whose theatrics whipped up the crowd into a frenzy, then had the gall to tell fans to give credit to a distraught Osaka, who was almost apologetic for having won. What a way to remember your first Grand Slam win, and what a message to up and coming players. Lecturing the crowd on the art of gracefulness for a woman, who has just completely lost it, was too much. A record 23 Grand Slams or not, no one is bigger than the game, and she shouldn’t forget that. This whole episode only serves to expose the sport for it is, a pandering act to its top stars, and it sets the game and women’s rights back decades in the process. Shamelessly playing the sexism card without an apology is embarrassing and now Serena should go away and consider whether she is still a positive influence on the sport and those who dare to beat her.